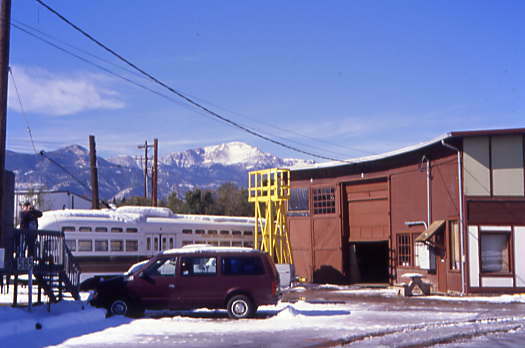 We parked and walked into the former Rock Island roundhouse and offices of the Pikes Peak Historical Street Railway. In the office I introduced Chris Parker and I to Howard Noble, Vice President and Executive Director of the Pikes Peak Historical Railway Foundation. We started our tour in the lobby with him giving us a very complete history and goals of the operation. 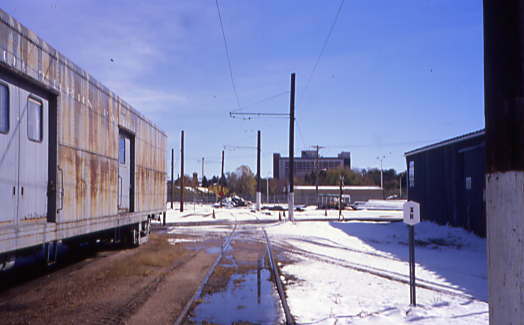 The plan is to build from here along the Joint Line down to the former train station downtown. 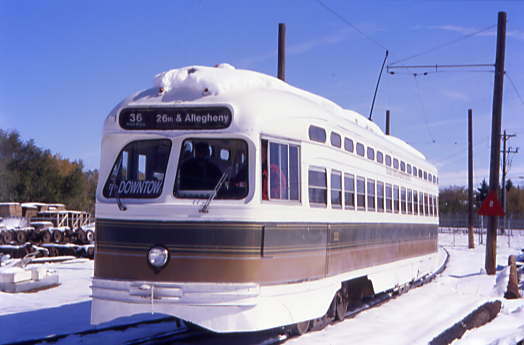 They have pictures of trolleys that once served Colorado Springs, including Car 22. The new home for Car 59. 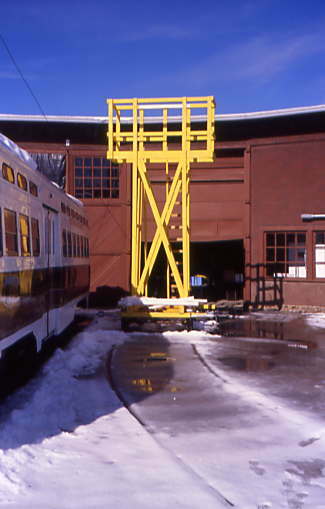 Pictures of Car 22. After we saw all the indoor displays, we went to the roundhouse to see the collection of cars under restoration. We saw the 1901 Laciede 59, which is the only 1901 double truck Laciede in existence. 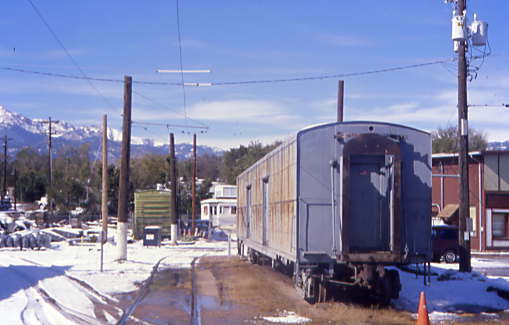 The 1919 former Fort Collins Birney Car 22. The other end of the Laciede being worked on. 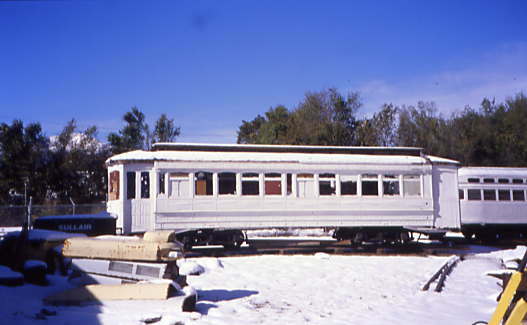 Another view of the Birney Car. 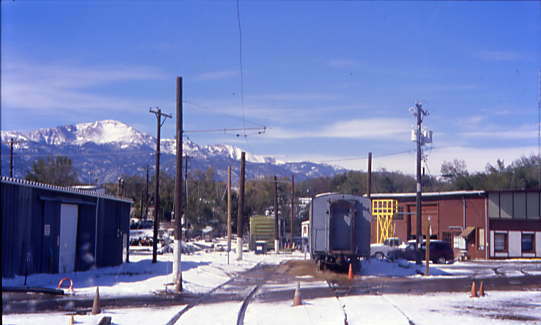 Next we walked outside to see more of Pikes Peak standing guard over in this unique museum and operation. First car we saw outside was PCC 2129, an ex. 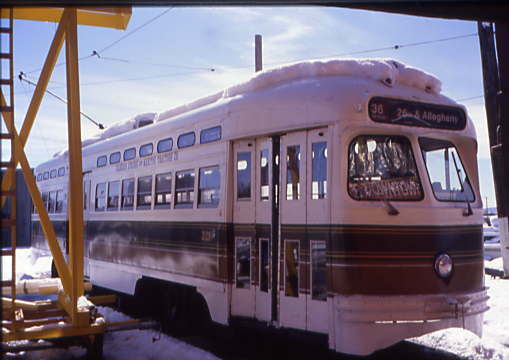 1947 Philadelphia Transportation Company PCC car which the group uses for rides. 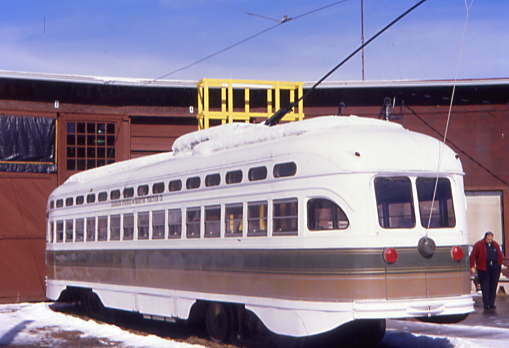 Outside view of their 1947 PTC PCC Car from Philadelphia that the group gives rides in with the remaining two stall roundhouse in the background. 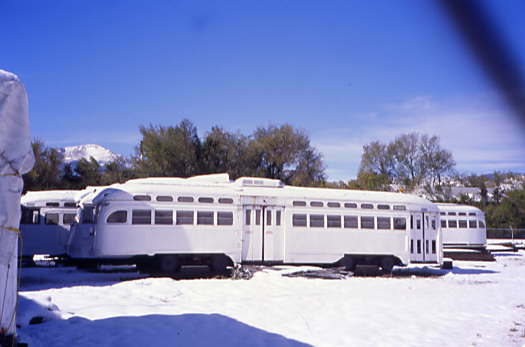 Next was former Southern Pacific baggage car 6777 which houses a very fine Rock Island museum. An overview of the museum area. They also have an ex. 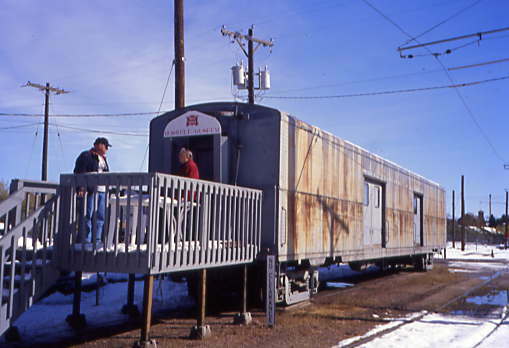 Rio Grande boxcar used for storage. Pikes Peak standimg guard over this unique museum and operation. 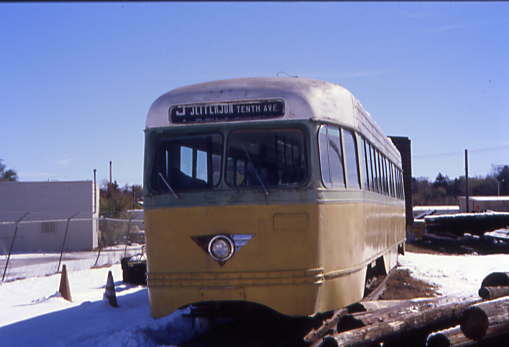 Another PCC car, Los Angeles Railway 3101, one of only two War Babies still in existence, stands out by the front gate. 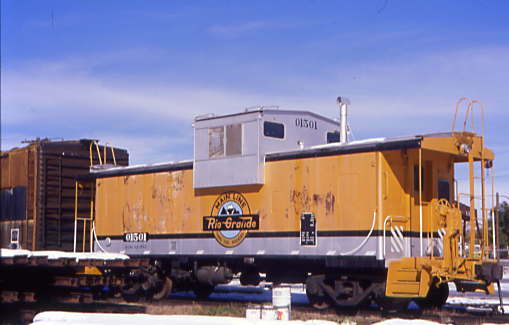 The other War Baby, 3100, operates at the Orange Empire Railway Museum in Perris, CA. 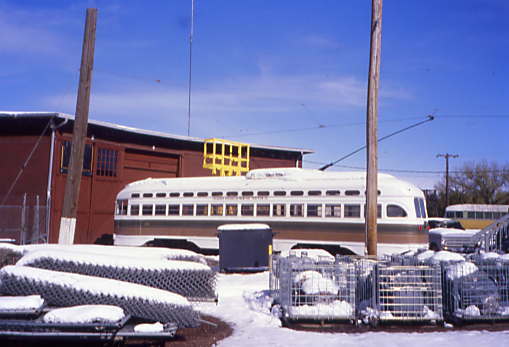 There were more PCC cars were sitting outside in the snow, awaiting their turn in the shop. 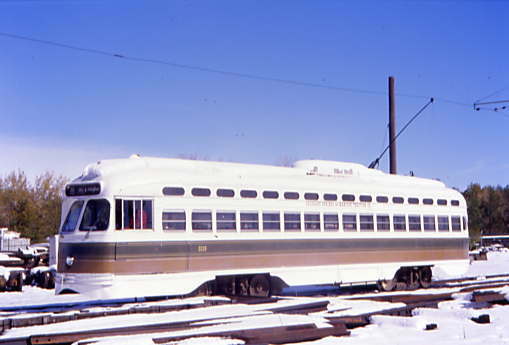 There is also 1901 Colorado Springs & Interurban Brill Convertible 48, which is the only one in existence. 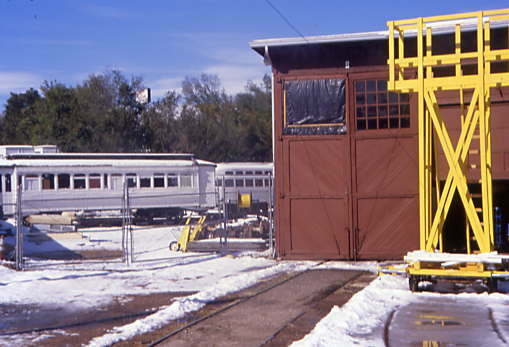 Chris and Howard about to enter the SP Baggage Car 6777. Beside the baggage car was Milepost 585 sign from Kansas City, or the most western Rock Island milepost. I went inside the baggage car and was treated to the most complete Rock Island Railroad collection that I had yet come across. Howard then offered us a ride and while he turned on the electricity, I took a few more pictures and discovered that they also have a wire car. 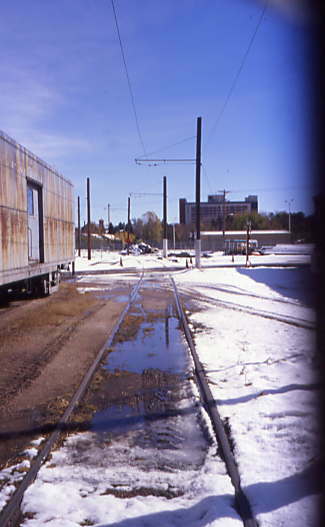 I looked at the route we would ride, then went to the car to change film before boarding PCC 2129 for a ride down some former Rock Island rails. The inside of the PCC Car. Our ride would take us along 600 feet of track and return. 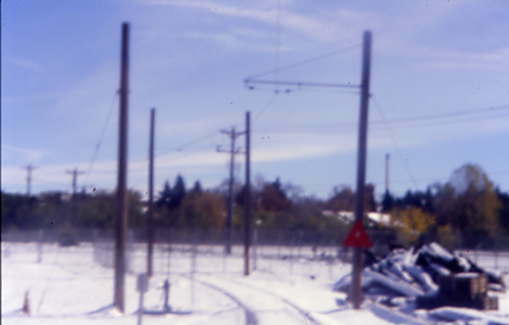 We started going backwards down the tracks and had to stop until I went back to make sure the grade crossing was clear. We reached the end of track and stopped. My views of the PCC 2129. I climbed back into the PCC for the return trip to the roundhouse. Views from the return trip. I asked to get off to take a photograph then posed the PCC for a picture. I climbed back into the PCC car for the return trip to the roundhouse. At the end of the run, we thanked Howard for a great visit and returned to the car for a trip to Manitou Springs and our next rail adventure.